The aroma is like walking through a deep, wooded forest in the dead of winter – this is a restorative, protective and meditative oil, perfect for yoga practitioners and those seeking a deeper connection to the mysteries of life. Black Spruce is by far one of our most-favorite oils, especially of the conifers. 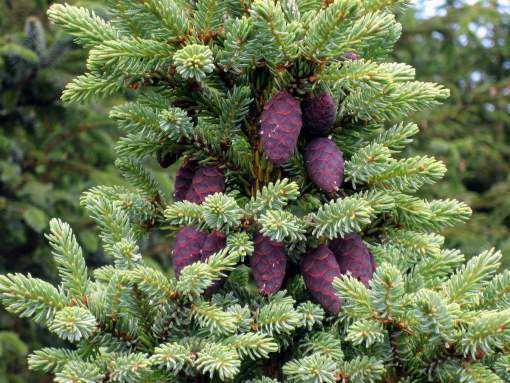 This Canadian Black Spruce (Picea mariana) is wild harvested and steam distilled from the needles and twigs of the tree. It reminds us of Christmas and walking through a deep, wooded forest in the dead of winter. Used by Lakota Indians, enhances communication with the great spirit. Symbolic by way of an umbrella that brings energy in from the universe and protects what is underneath it. Recharging, rejuvenating. Great for yoga. Grounds the body. Balancing. Helps remove blocks. The restorative and rejuvenating properties of Spruce are in part, due to its powerful affect on the adrenal glands. Chronic fatigue, long-term illness, caffeine addiction are all examples of experiences that can deplete the adrenal glands and Spruce is the go-to oil to reignite them and restore one’s natural energy reserves. We like to rub spruce into our mid-low back over the kidney area where the adrenal glands sit – first thing in the morning before getting to the shower. Also great for rheumatism, muscle aches and joint pain – Spruce is a great addition to any massage blend and is especially soothing when there are respiratory complaints, coughs and illness present. Wonderful for the immune system as a whole. Spruce is a meditative oil, perfect for yoga practitioners and those seeking a deeper connection to the mysteries of life.